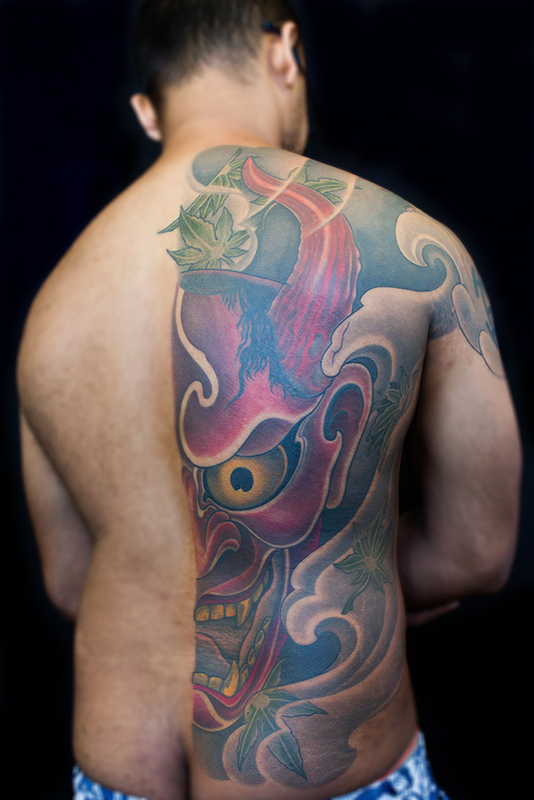 I have been working as a tattoo artist for 21 years, predominantly in Melbourne. I have worked in all aspects of the business – as an apprentice; in large ‘parlours’; in a more intimate shop setting (that I owned and managed) and now in a private tattoo studio. As a tattooist, I focus on the pursuit of achieving the finest detail that can be delicately applied to the skin – in its varying forms. Ultimately, I am to create a landscape of the highest quality. Having the opportunity to create artwork on the human body is – to me – a great gift. To be given the opportunity to create and transform an idea into a tattoo masterpiece on someone’s body, where – presumably – it would remain forevermore has always been an honour. In my career I began creating large tattoo pieces – full sleeves, full backs, chest and full sleeves; full legs; half legs and so on. 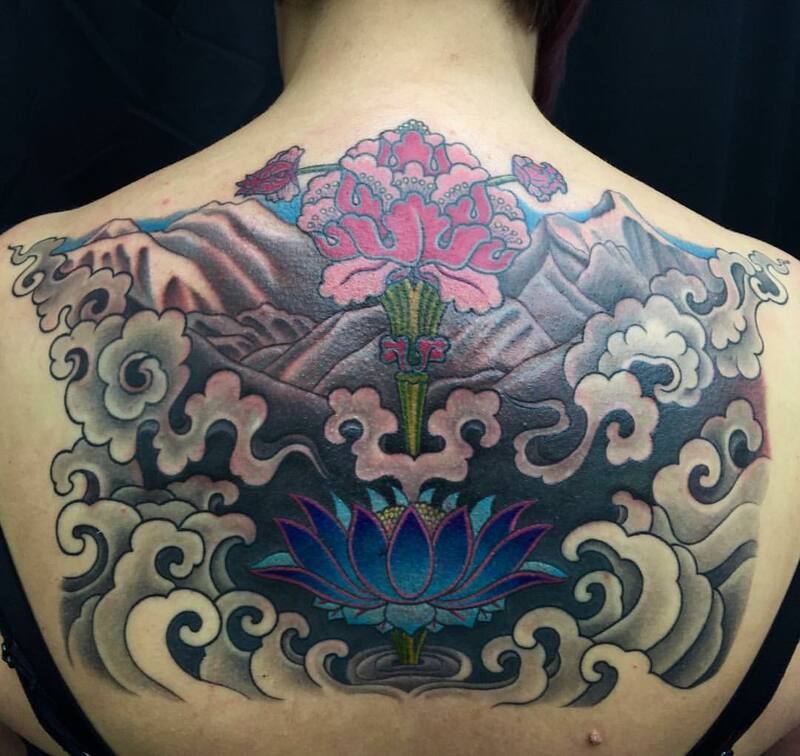 My clients who choose large scale tattoos always come to me with a significant story in mind. They have purpose, meaning and symbolism that they want pieced together to tell a story that is very meaningful to them. Others just want beautiful images on their bodies. Large scale tattoos, comprising great meaning, cannot be rushed! Large pieces take a series of full days to complete. There are hours upon hours of work in sketching, stencilling and then tattooing these large pieces and they require a significant commitment from my clients. These clients know up front that work will need to be broken up and they willingly slot tattoo bookings into their calendar. Over the years, a lot of my clients have travelled interstate, sometimes overseas, to book these large pieces in with me. Tattoo times are changing. It’s clear that people have become more budget focussed. Perhaps budgets are tighter and the luxury of getting a tattoo, or at least a large tattoo, is being put on hold. There is less demand for larger pieces and significant growth in smaller, custom pieces and often in black and grayscale tones. I’m not the only tattoo artist in Melbourne to be noticing this change – it is certainly Melbourne and Australia wide. So, what is a seasoned, tattoo artist with international training to do in this transforming tattoo climate? Get on board of course! In between the large-scale tattoos, I discussed above, I have also had the pleasure of completing a lot of smaller pieces. I have worked with many clients who have come to me specifically for a cover-up of a scar, stretch marks or unwanted tattoos and we have produced some amazing results that made a great difference to the client’s self-esteem. I would love to do a lot more smaller pieces in the future. These tattoos are relatively easy to produce, require less commitment from my clients and are also budget friendly. As I operate from a private studio, I can offer my clients a great deal of discretion while their tattoo work is being completed. Having worked in busy parlours, I am aware that it can often be uncomfortable for clients who are revealing their body while being tattooed. The private studio setting allows my clients to feel a great deal more relaxed and can enjoy the experience in a highly sanitised and peaceful setting. If you haven’t followed me on Facebook or Instagram, jump on and take a look at some of my smaller tattoo pieces and the detail of some large pieces that can be modified to suit any smaller design. I hope to put a lot more of my smaller tattoos up on the web gallery in the coming months so stay tuned. 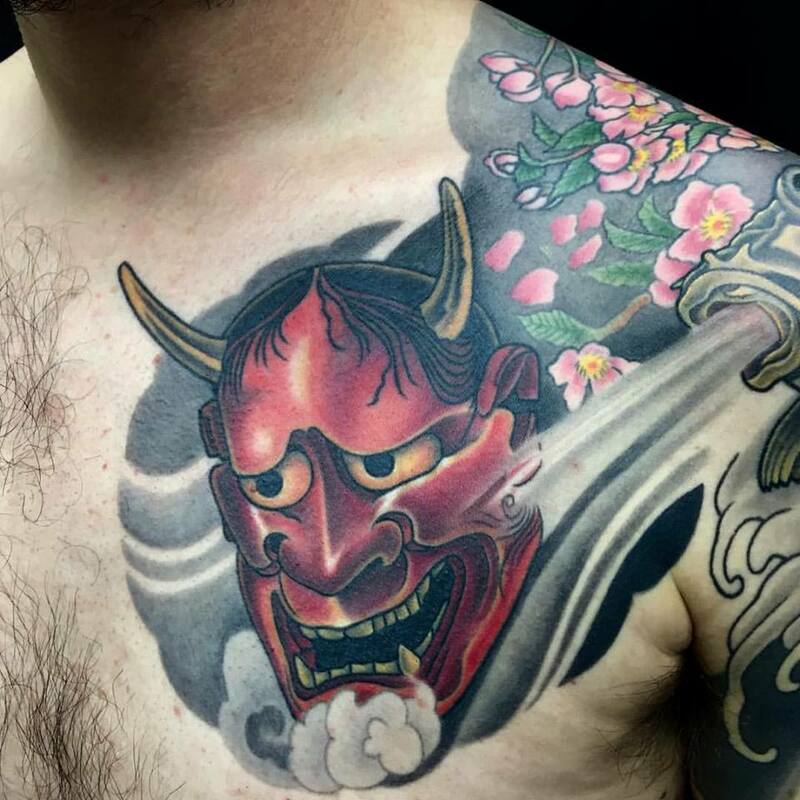 Yes, it is true that the growth of the tattoo industry in Melbourne is becoming steady and many tattoo studios have been established in Melbourne for the tattoo lovers. Thanks for sharing the information. Melbourne is one of the most visited tourist spots in Australia.